You’re a BBQ restaurant and you’re looking to expand, sell food outside your location, and add more profits to the bottom line through catering. So you’re asking yourself, how do I start my BBQ catering business from my restaurant? When you start thinking about all of the factors it can really be overwhelming. 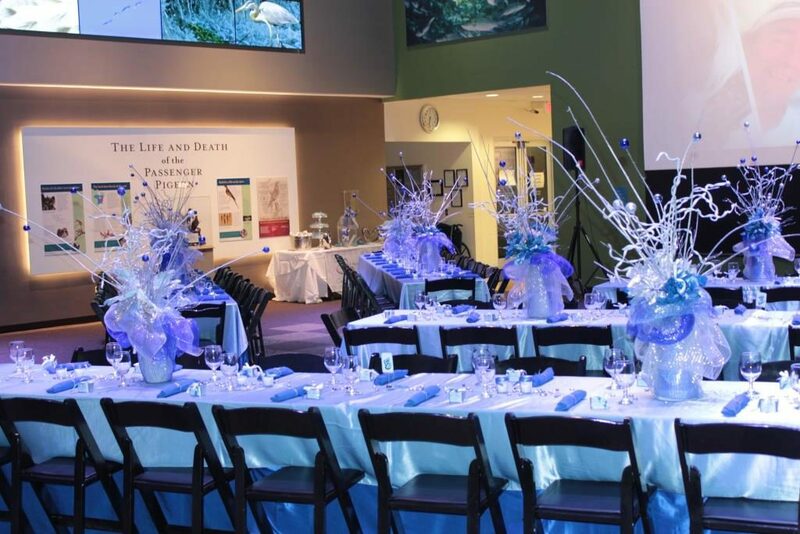 You start thinking about what you will offer, how much, how to promote it, equipment, and everything else that you can possibly consider when it comes to setting up catering. Do not let it overwhelm you! If you’re looking to make more money and grow your business this is the best thing that you can do! To start catering you need to have a starting point. Start simple and expand on your services. When we started catering, we started with self-service catering. This style of catering is where the customer picks-up the items or orders where you deliver the items. Self-service catering involves no service staff or equipment. It is basically selling your food in bulk and the customer handles how they’re guest will be fed. When starting catering, keep it simple! We started by taking the menu items that we served and making “Family Packs”. These family packs are food in bulk designed to feed a specific number of people. When we first started we only had 4 different family packs to choose from. We made a separate menu from our everyday menu that had these family packs in it. It was our catering menu at the time. You will need to develop your catering menu. These packages are bulk items so they are priced at a reduced rate of what it would breakdown to on a per plate basis. Of course you have to keep the important factors involved when determining pricing like food cost and labor. As you probably know we started as a BBQ joint and grew out into catering. It all started from these family packs based around our BBQ. You can be any style of restaurant and do the same thing! It doesn’t matter the type of food you serve, people want options when it comes to feeding groups. Think about an office that orders food for the staff on Fridays. They’ve done pizza, subs, Chinese, etc…they are looking for something different or they are even looking for those items. So it doesn’t matter. You just have to be good at what you do. Back to the family packs, our first package was designed to feed 2-4 people. We called it the “Chicken 4×4”. This package came with 4 chicken quarters, 2 large side orders (pints), & 4 pcs. of Garlic Toast…very basic! Our next packaged was made to feed 8-10 people. We have one that feeds 12-15 and the last package fed 20-25 people. We now have 12 family packs including our breakfast catering options. 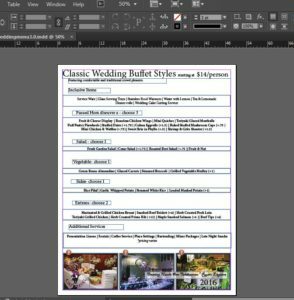 Start with popular menu items that you have and make packages out of them. Don’t make each package the same. Be sure to offer variety. Also, make sure they are you most popular menu items. Have these packages available for call ahead pick-up. If you’re able to, you can offer them for delivery as well. If you are offering delivery as an option you can even add on a reasonable delivery fee. Also, look for other ways to up charge. Ways to up charge could be additional items in bulk, beverages, dessert options, disposable place settings, disposable chafing frame set ups, etc. You can easily add more dollars by having these options available. As you get good at providing self-service caterings and bulk takeout orders, you can now expand into caterings that provide service. Service can vary. It could be a delivery and set up catering or it may be full service. Once you start getting involved in catering that provides service, you will need to invest in some equipment. We started with buying some decent chafing frames, canned heat, serving utensils, and eventually some disposable and polyester linens. 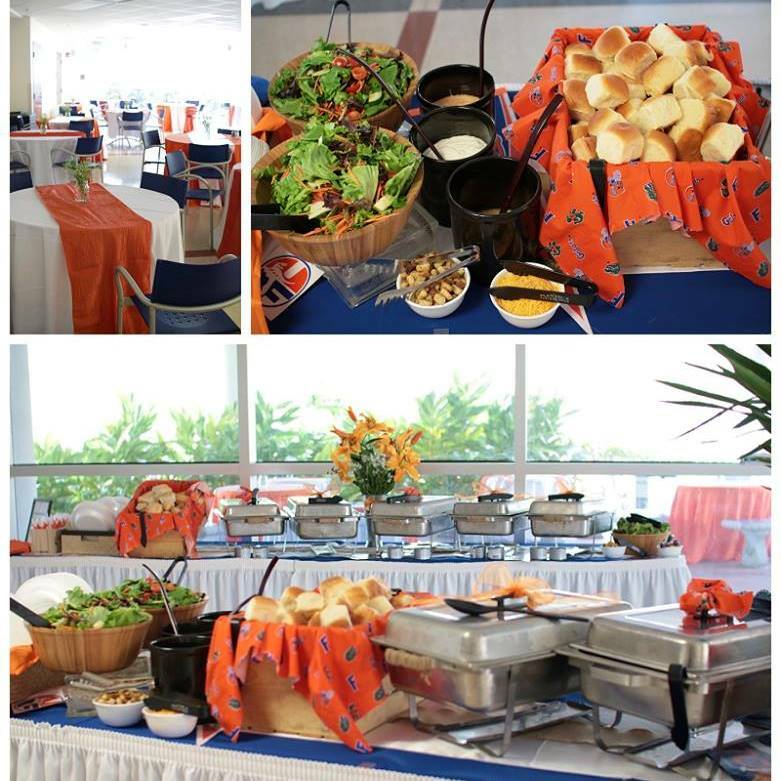 Dressing up your buffet or service line can really differentiate you from your competition! When you determine you’re pricing for service catering it is important to remember the additional items and service involved. When we started doing service caterings, we set up our pricing to be based on per person. We use per person pricing based on the amount of Meats (proteins, main courses, etc…). Example 1 Meat, 2 Meats, 3 Meats, etc. These entrees come with 2 side orders, bread, beverage, and 2 hrs. 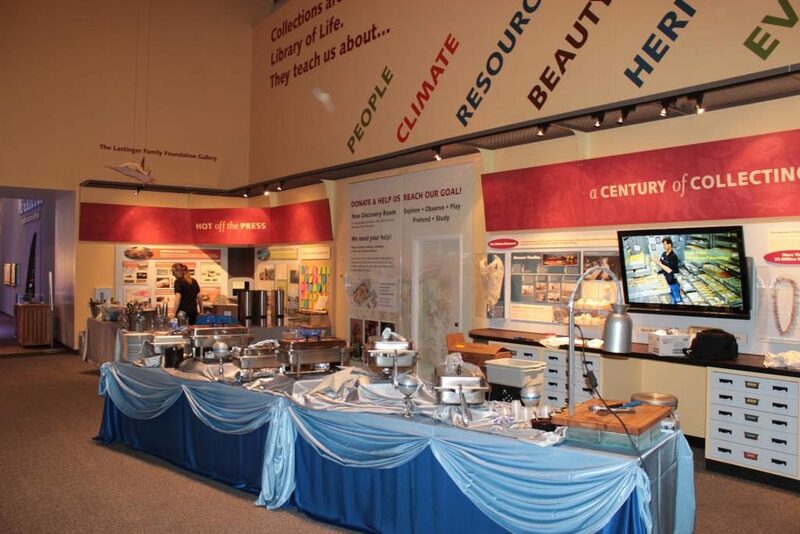 of service with equipment, serving utensils, and staffing. I know what you’re thinking, Chris I don’t own a tent to rent…or tables & chairs! I understand this, we don’t either. Now that you’re getting into bigger events that involve more services, you may have to do some subcontracting. We got involved with some local rental businesses. Since we are a vendor we receive a vendor’s discount. Since customers need for it to be easy and handled, we take care of their needs and be as all-inclusive as possible. You make yourself into a “One stop catering shop”! The more services that you can offer, the more money that you can make! Since you are providing so many services which involves additional labor, you can start incorporating “service charges”. These charges can be for handling rentals, additional mileage, additional staffing & labor, providing additional services, etc. Even with all of this adding up, your clients can still save money by getting it all through you instead of multiple vendors. This equates into a win-win scenario. Another way to expand your catering is by getting involved! Take part in business expos. Get into the wedding industry. Join local organizations and take advantage of networking events. Expose the fact that you are a caterer to your current customers and potential ones. Get yourself involved in catering! It will help your business grow and increase profits! Start small and expand. 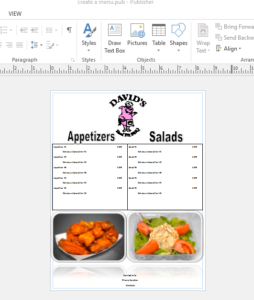 Take your popular menu items and package them up into bulk packages that feed different sized groups. Make these packages available for pick-up or delivery. Find ways to increase your client’s totals by offering additions or up charges. Offering a delivery is a great way to do so. Also, additional items to add to their packages such as another side order, dessert, disposable place settings, disposable chafing frame setups, etc. Expand from your packages and start doing full service caterings. Price these caterings on a price per person. Base you’re pricing on the number of proteins or entrees included and package them with complimenting side orders, bread selections, & beverages. Get into owning your own equipment. Start collecting decor items. Purchase dishware, linens, provide bar-tending, etc. With the items you can’t or don’t want to buy, find a local company that rents these items and establish a vendor’s discount. Remember, the more services you can offer…the more money you can make! Become an all-inclusive caterer! Make it easy on your clients by handling all of their needs. Make your catering services known. Attend groups, network, and join local organizations. Get involved in the wedding industry. Attend expos and trade shows that will market your services. Expose yourself to your current customers that you do catering events and to your potential customers. Wow…such a comprehensive guide for anyone in the catering business. I have got to get this into the hands of someone I know what does that. I did not even imagine that Affiliate Marketing would be a tool used but I can see how it would be a great source of additional revenue. Going to recommend this to them. Great site! Yes we love to help others by writing about what we have done over the past 5-6 years. It has been quite a journey building our bbq catering business that has been very rewarding both financially and mentally. Next Next post: What is a good food cost percentage and how do you calculate food costs?